Mike Ragogna: Who could this be? Why, it’s the very lovely, very iconic, Melanie. MR: Hi Melanie, how are you? MR: I have to get my clapping over with. Okay, there we go. Melanie, it’s a joy. Your latest album isEver Since You Never Heard Of Me. Traditionally, on all of your albums, we would see the credit “Produced and Arranged by Peter Shekeryk,” though this one was also produced and arranged by Beau Jarred Schekeryk, your son. M: Yes. Beau did get to work with Peter, and he always says, “I’m so grateful, I got to work with dad on this album,” because Peter is strictly old-school and Beau is best of both worlds, new school and old school. MR: Because you guys taught him well. M: Well, Peter was all about the feel and capturing the feel. He would let the artist reign. That was his gift–to really let the artist come out with the album they wanted to come out with. Beau is much more in control of everything. In the technology realms, you sort of have to be in control of everything. But the magic part is making that appear as if it happened with the spontaneity and the magic of a live session. MR: Let’s go into that. The marriage of traditional recording and modern technology really benefited you on this album. You even have a couple of spiritual songs such as “Motherhood Of Love.” I guess you’re a follower of Mata Amritanandamayi, right? M: Amma. 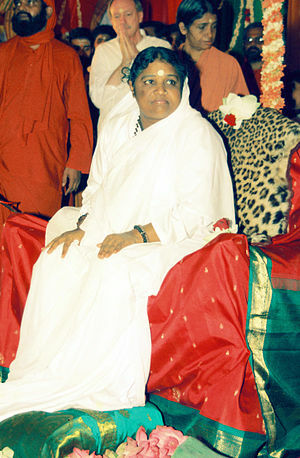 I’m not exactly a follower, but I’ve gotten an embrace from Amma, and it is an amazing, magical experience. It’s nothing that I could take with me for the rest of my life except in memory, but I think you have to do the hard work yourself, the meditations and the chanting. I think it’s not just the hug from Amma, although I’ll tell you it’s a nice way to jumpstart any kind of spiritual practice. MR: Yeah, that’s what a lot of people who’ve gotten the hug have said. MR: Yeah, as far as getting a jumpstart in their spirituality. M: Yeah, that’s exactly it. I’m always amazed when somebody thinks of something at the same time as I do. MR: Oh, that wasn’t to downplay your experience. MR: Well let’s talk about that for a funny moment here. What about those times, when you think you’ve had the most original idea for a song and you put it out and somebody else has the same idea on another record? MR: [laughs] Thank you for that concert just then! Melanie, in the context of you putting out your own album and self-promoting it and touring for it, you’ve been indoctrinated into the new model for the music business. Those days of needing a major label to promote your record, market you and break you are kind of going away. M: Oh, they’re gone! I mean…that’s if you’re interested in mainstream media. If you want to be a celebrity for the sake of being a celebrity, you know, being promoted and having your face everywhere, you need a major label. I’m just amazed. Half the people, I see their faces and I say, “They’re famous for being famous,” you know, that phenomenon that’s reared its head in the last ten years or so, people that are emerging. And you’re like, “What do they do? Do they sing? Do they act? Do they write?” The amazing thing is that you don’t need to have a major label, but what your competition is–and this is what I’ve been discovering–is this flood of mediocrity. Yes, we can get everything directly, but we have to weed through the guy who plays the broccoli and whatever it is. Somebody gets their name out as a YouTube artist and people get famous for being good at getting themselves out there. Quite frankly, most creative people are not the best at getting themselves out there, so again, the competition is the flood of mediocre or less than mediocre people. I just wish people who don’t do something would stop wanting to be famous. What is the deal? Why don’t they just do something useful? You can write songs or poetry as a hobby, you don’t have to take up people’s valuable time. MR: Well, if they play the broccoli, I have to see that. Hey, Melanie, what about the fact that everybody can be a star for five seconds, because of machines like American Idol, The Voice, and all that? M: Well, that’s degrading, especially American Idol. That’s demeaning, that’s degrading. It brings out the worst in us. I just hate that sort of degradation. MR: Anyway, enough of they, them, let’s talk about you! I’m sorry, but we’re going to have to throw out some Melanie hits because, hey, they were hits. M: That’s true! I did have to live that down, being a person who was called a “folk singer.” There was a whole group of folk people who just didn’t think I belonged because I had a hit record; that was called “selling out.” Unbeknownst to me, I sold out because I had a record that was being played on the radio, and that in itself was highly suspect. MR: Yeah, you sold out because you merely contributed to the culture songs like “Lay Down (Candles In The Rain),” one of the great Woodstock-era anthems. How could you! MR: …yeah, Peter did that to me and you a few times. MR: Okay, now let’s go back to “Lay Down (Candles in the Rain).” As I’m nodding to your contribution to the culture, you’re also one of the heroes of Woodstock, and people know you from other hits like “Brand New Key,” “Nickel Song,” and your versions of “Ruby Tuesday,” “What Have They Done To My Song, Ma.” And there’s “Psychotherapy,” “Animal Crackers,” “The Good Book,”… You have quite a few classics. Looking at that body of work, what are your thoughts? M: Well, it all just continued. I never stopped. When people say things like, “Melanie from the sixties,” it’s like, “Well, yeah, from the sixties, from the seventies, from the eighties, from the nineties to the new millennia, and into the beyond.” You want to know what my feeling is about that era, the sixties and seventies? As far as genre, they never knew what to do with me. Pop music was so forgiving at one point. They had The Edward Hawkins Singers with “Oh, Happy Day,” and then there’d be Connie Francis or something or Nancy Sinatra, you know what I mean? All kinds of music were coming together and the source of different genres were crossing over, so you’d hear on a pop radio station with all kinds of different influences. It was a near renaissance on Earth and people were investigating and pulling from different sources. Art was alive and music was alive, because of this interest from artists. Basically, people were doing things because they were interested. Now they’re doing things because they want to be interesting. M: It’s such a different place to come from. “Ooh, I’m going to look like this, and I’m going to sound like this, and my voice is going to do things like this,” just doing things to get people to look at them. “Look at me, look at me!” It’s unpleasant. Back then it was, “Oh, listen to this, this classical thing with the strings…I would go to SIR, the studio instrument rental place in New York city and bump into Laura Nyro who was looking for some interesting percussion to use on her session and I was looking for different flute-y type instruments–maybe a didgeridoo, you know? But it was because it would express what I wanted to express, not because, “Ooh, everybody will see that I used that and I’ll be so interesting.” It’s totally different motivations. The reason why people say that there was a value in that era of music–is it just nostalgia or is there something else? And, of course, there is something else and it comes down to motivation and intention. MR: There’s something I wanted to throw out at you. There are a lot of indie artists out there, and I would even include you and your son in this, as far as people who are interesting, indie acts, many of whom you can find on the internet if you search. Unfortunately, we don’t get to hear it all. A lot of music seems regional again, like it was in the fifties. M: Yeah, that’s definitely possible. I mean, I don’t think that is such a terrible thing because then they’re backing it up with performances and people have a reality on what they actually do. MR: Good point. Now, I wanted to talk about a few other things that you’ve worked on, for instance, your book Tales From the Roadburn Café. M: I’ve been writing journal entries for some years, and I just put them out on my website and people have been reading them. I don’t read well on a screen. I like to have stuff on paper, I like to turn a page. I’m not a big Kindle person. I’ve tried, but you know, there’s something that’s missing without the ink. I like ink on paper and I like it with books. I decided I was going to collect some of the journal entries and put them out in a book called Tales From the Roadburn Café. We published it ourselves. MR: You have always been about “family,” it seems. Your husband produced your albums, your kids performed on them, and you’ve all been so supportive of each other. That’s a very hard thing to do when you’re in entertainment, isn’t it? M: Yeah, it really is, make no mistake. And over the years, so many people were really, truly envious of it, and it’s bizarre because it’s such a hard life. Being in the entertainment business at all is a very hard life. I tried to talk my kids out of it. “Be a vet or something. Something where people aren’t going to attack you,” because you’re really a target! I love that they’re all artists. I didn’t necessarily want them to pursue that as a career, but they all did. My daughter Leilah is a writer in Nashville, and Jeordie sings out in Arizona all the time. She’s actually in Chicago singing right now, and writing. She has her own website and she’s very into social media. I’m just dabbling with Twittering and stuff like that. We’ve just been a gathering of artists, really. MR: And this latest album, Ever Since You Never Heard of Me was, of course, a family project. But then again, the last few projects you’ve released have been about the family as well. M: Well, I never think of it that way, but I guess you could see it that way. MR: And when you read the credits, it’s pretty obvious, you know? MR: You’ve got yet another project going right now, one in the theatrical field. MR: I’m sorry you had to go through that. M: So this is going to be a musical. I call it a musical mystery comedy of errors. MR: Let’s take a look at that for a second. I love the fact that you’re doing this, and with a beautiful dedication to Peter as well. I have to tell you, how I came into Melanie was of course through the singles, but I also came into your music through a magnificent album. I know everyone says Photograph is your best, but I came in through Madrugada, which I feel was an album of emotions that had music to it. M: Yeah, thank you. That’s absolutely a great way to say it. MR: Right from the beginning to the end, it was just one of those magic records. Also, with Peter, I had spoken to him over the years, getting a call from him like every six months, his trying to work something for you. I was never in the right place until I was at BMG, since they owned your old Buddha Records masters. But my point is that, yeah, it was always about trying to get something going for Melanie. M: Right, exactly. He was on everybody’s time zone. He would get up at four and be talking to England. He was a one-man Melanie campaign. MR: And those orchestral arrangements that he came up with were magnificent, I really think so. MR: …and if people did want to get tickets, I imagine there’s a website? M: Yeah, it’s Blackfriar’s Theatre in Rochester, New York. MR: All right. Melanie, what advice do you have for new artists? M: Wow. God. I would just say examine what your motives are and be careful what you wish for. People ask me this a lot. Listen…listen to things that move you and then if you have something to add to that, great. If not, maybe you want to be an archaeologist or something. Not everybody has to be a famous person. But okay, if you’re beyond that and this is what you’re going to do and no matter what this is what you have to do, if you’re driven and you know what you’ve got to do, then just follow that. MR: Beautiful. Now, you’re going to be touring, ain’t ya? M: Yeah. Go to my website and we will put the dates up. I’m going to be at the Brooklyn Academy of Music on November 9th, and I’m going to be at the New Hope winery in Pennsylvania on the 23rd and there’s talk about a European tour and about dates in Florida and Texas, but nothing is absolutely solid yet. MR: And don’t forget about that Fairfield, Iowa, date! M: I know! When am I coming to Fairfield? MR: We’ve got to figure this out. M: I’ve never performed in Iowa. M: I think there was this “Never trust anyone over thirty” sort of thing, there was this thought that nobody cool ever gets old. We all leave before we get ugly. Of course it doesn’t happen. MR: Too late for me! MS: The good die young, so here we are. MR: [laughs] Any other words of wisdom? M: Oh, gosh. Nothing’s coming out. I’ll Twitter it. MR: [laughs] You got it. Thank you very much, Melanie. I really do appreciate your time. It’s been beautiful. You truly are beautiful people. “Brand New Key” singer/songwriter Melanie. This is the extended interview with Melanie that we couldn’t fit in print. Enjoy! 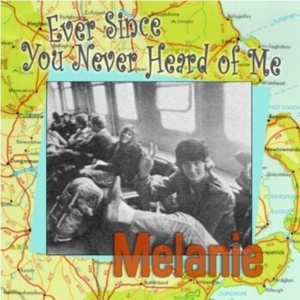 Check out Melanie’s music at melaniesafka.com. 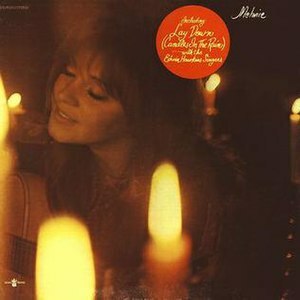 Remember Melanie – the sweet-faced quintessential hippie chick who sang “Brand New Key” and “Candles in the Rain”? Well, you might say she’s back, but the truth is she really never left. You’ve always been one of those famous performers that everyone thinks of as a friend more than a star. I know. I’m pretty accessible. Nobody ever thinks I’m anybody. When my husband was here and we’d walk together people would always come up to him because he’s very striking, and they’d say, “You’re somebody, aren’t you?” And we’d always laugh cause I’d just be sitting there like this lump. You play with that status with your new album title, but you’ve stayed very busy. Oh, yeah, I’ve never retired or anything. It’s amazing – you can be a really well known person to a segment of people, especially now with all the many, many ways to be a celebrity, and people are famous for being famous – we don’t even know what they do – [we’re] not sure if they are singers or actors or just married to a football player. I never wanted to be a celebrity. I wanted to do what I did and believe me, if there was a way to do that without being a well-known person, I’d like that. But basically you have to put yourself out there and put yourself in people’s faces to a certain extent before they’ll come to your concert. If people see the parking lot is full, they think it’s good. I’m always astounded by it. It comes from not trusting what you really like. Do the opinion leaders of my socio-political group like it? Cause if they do it must be good. Okay, I like it too. I see that happening more and more. People are afraid to have their own, completely their own, thing coming from their inner wellspring of what they really want and like. They so want to be accepted and have it be cool. Of course, our generation is the one that invented cool. And if it isn’t cool, don’t do it. But then cool came from a place within you and now cool is invented by opinion leaders and then marketed. [It] used to be marketing was studying who liked what and now it’s developing markets for who likes what. Listening to your songs they sound contemporary. I suspect a lot of your old stuff would hold up pretty well. Your fashion and style is still popular. The way you used to dress is the way my daughter likes to dress. That’s really funny because my kids were always completely terrified that I might go to school meetings. My daughter would say, “Mom can’t you put on a different pair of shoes? There’s a Papagallos store down the street.” I’d go “Ah, I don’t think so.” Blending was never one of my biggest assets. I always had a romantic notion of who I am. I always dressed that way. I’m not saying I didn’t toy with ’80s things – I put blue in my hair just like everybody else. I loved it. I always wonder why people don’t do more colors. Colors are so amazing and we’re surrounded by taupe and beige, off-white, cream and cappuccino. When you think about all we could do with color we could build purple houses and astounding electric blue and orange cars. But we’re just surrounded by these gray-taupey-mauvey colors. I always say it’s a fear of being Mexican. Or in New York it’s a fear of being Puerto Rican or exuding any kind of color. “Tasteful” is cream, drab cement. I live in the southwest now and there’s just so much color here. Not in the topography but in decorating. People aren’t afraid of coral, orange and blue. It’s so wonderful to see color. I keep thinking what’s wrong with people. We have all these colors and we keep building square cement gray things. There’s probably a song in there somewhere. Yes. Probably. If you are a person who doesn’t care about that then you might have a shot of being who you are. I thought I invented the ’60s because I always sensed that we each have our own little authentic thing. We each have an authentic part of ourselves that it’s our job to be born and project that little [authenticity]. So in dressing or in music, I really wanted it to be authentic and real. That was important to me. You had some real hits. Is that pressure on you, you know, to try to catch lightning in a bottle one more time? I never set out to write a hit. In fact “Brand New Key” was totally a one-off thing and this famous record producer (Peter) had heard it and said, “This is a hit.” I said, “Oh no, please. If that’s a hit I’m going to be cute for the rest of my life.” And so I never really set out to have a hit but there’s nothing that feels better than being a human campfire. And that’s what happens. You have a hit record and people are just drawn to you because they know this song. And if they know this song, then they know you and you know them and it’s this wonderful connecting device, a hit record. It’s nice but it’s not a motivation. Hard to believe that that song was so controversial back in the day. I know, it was so sweet. I’ve come to terms with it. You can imagine – I was pegged. Before “Brand New Key” I was suspect because I was very cute. I was too pretty, basically. I wasn’t angular pretty. I was cherubic and I was suspect in the underground circles. Joan Baez was angular and she was angry and Joni Mitchell had an angularness. My package was a little more soft and cuddly and huggy. I got pegged as a kind of Woodstock fluff. The second record company I was with really pushed that. I didn’t know, I was just me. People have all these dimensions and the one people see is the one that’s promoted. After “Brand New Key” it was over. In Folk circles, having a hit record was highly suspect anyway. If you had a hit, you sold out. People were saying that about Dylan. It was the Folk Nazi thing. If you had a hit record, you obviously sold out to the establishment. It was total nonsense. After “BNK” I was the underground press’s favorite target. It was very unfair but there’s nothing to do about it. I didn’t argue or try to rebel. I just continued in my life. I decided, I’ll just out write this. It was also controversial because of the innuendo. Oh yes, the innuendo. People thought it was a key club song, a thing about wife swapping and keys. Then it was a kilo, it was drugs. Now it’s on a commercial. Is there a revival of interest? Oh yes, a lot of kids, 15-16 years olds, have just tuned in because of that. It would be really great if they had my website up there. I don’t own anything of any of my hit records. Not writer’s royalties, not publishing, not nothing. I found this all out after my husband passed away. I didn’t know anything about the business whatsoever, about who owns what, but I soon found out. It still is wonderful in that I hold these concerts and I get kids coming to hear the music because of that song. And they’re singing along. Now on the other side of that song, the growing up part, that was something I wanted to live down, but now I think, wow this is a great little song. If I went out to try to write a song like that it would go nowhere. It’s unique. It has it’s own little place it doesn’t belong in any category I can think of. It’s got a quirky [novelty] but it’s melodic and bouncy. I wish I could write one every day. I have to tell you, in my circle of friends, we knew that this was your hit and yeah other people liked you now, but we still respected you, if that’s any vindication to you. Aww. Yeah, but back then I thought I’d have to live it down. I knew some people got it ‘cause people would keep coming to my concerts. You know Albert Goldman? He became famous for dragging legacy people through the mud, [like] John Lennon. He wrote a scathing book revealing the true gritty yucky parts of everybody. He did a thing on me. He was trying to get an interview with me before those books came out and for some reason I kept avoiding it. I was back in the country ­- I’d been singing a lot in Europe and [now] I was back in the country and doing a show in Long Island, a big, big show, and my assistant said that Albert Goldman really wants to do this interview, is it possible he could ride up with you and do it in the car? He came with his girlfriend. She was very quiet – very, very quiet ­- and he just sort of talked. It wasn’t really an interview, just a conversation and I figured he was going to see the show and just write about it. I was sick. I had just had laryngitis and I was doing these remedies in the car to try and get my voice back. I had this Russian driver who said drink milk and club soda and we stopped and got some and I was coughing and hacking away and I’m telling him I’m terrified because my voice isn’t there. So he went to the show and I never saw him again. He didn’t ride back with me. I thought it was kind of weird. But the article came out in a major magazine and was this hideous thing, basically it tore apart the audience. If you came to this show you were just a geek, some complete geek, a crazy person with no clue whatsoever. Basically it was good ­- he wrote well. That’s what’s so terrifying about a person like this. He knew how to write very convincingly. If I read this article I might not want to go see a Melanie concert. There are some people who really have that ability and he did, but where he was coming from was such a terrible horrible place. I almost couldn’t breath after I read it. It was so damning in such an amazing way I could see hundreds and hundreds of people reading this and saying “Oh, I’m never going to a Melanie concert of I’ll be one of those.” That was one of the biggest backstabs I ever got. ‘Cause there I was opening up to him saying “Oh gee, I wish I could cancel, what am I gonna do?” and every bit of everything I said he used against me and he tore the audience apart just for being there. I suspect that strain of journalism is still alive. Yeah, but it could never hurt me the way it did then. I believed that everybody was, somewhere in there, a decent person. I have since learned that there are some who are really not. You just have to set your radar to know who they are. Seems like you are kind of responsible for the whole “wave your Bic lighter” tribute meme at concerts. Do you take any credit for that? Sure. It happened at Woodstock. Here’s exactly how it happened. Right before I was to go on, the announcer, I don’t know if it was Wavy Gravy or one of the other guys had made some inspirational announcement of how the Hog Farm was passing out candles. I had been waiting in this little tent all day in total terror. I wasn’t with a group of friends. I didn’t know anybody. My mother had driven me up. I didn’t have any idea it was going to be a big thing. I thought we were going to be doing a picnic with families on blankets, crafts, maybe I’d go shopping and pick up some incense. I had no clue. Peter and I were in the London Philharmonic doing a film score, [which was] a really big thing so you know, this little festival, I didn’t know if I should leave the studio to go and do it. Peter said, you go and do it, I’ll be here and when you come back [and] we’ll finish and everything will be fine. So I went back to the states. My mom picked me up and we drove out to Woodstock. I didn’t even know what songs I would sing. I’d been writing, so I thought I might do some new songs. We knew nothing. I didn’t know there would be a movie, a culture based on it. I didn’t know I’d be known as the girl from Woodstock. First we go to this place, and now it’s at this other place, and now I’m getting nervous ‘cause I see there’s a lot of traffic. It’s all getting very big. I end up in this hotel and I go into the lobby and there’s Janis Joplin and she’s a superstar already. I was just a person who had one record that was being played I think at WNEW FM by a DJ called Roscoe and it wasn’t even in record stores because the record company didn’t believe in it. And that’s when they called me. And the announcer says to me this inspirational thing about the Hog Farm and the candles. 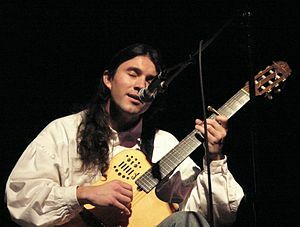 So when I stepped onto the stage, my set was this lighting of the candles and I got to see the field coming closer toward me like fireflies coming closer and closer and with that light came this incredible flow of energy and human connectedness and power – that beautiful kind of enabling power. So I had that song, “Candles in the Rain,” in my head going home. And after that, anybody who came to my concerts who had ever been to Woodstock would bring a candle or something that lit to show that they had been there. Then when I wrote “Candles in the Rain,” it just became synonymous with the lighting of things at concerts. Yeah, and I realize most people don’t know that, but now maybe now they will. What an amazing story. On a more provincial note, have you ever performed here in New Hampshire? I don’t remember performing there so much, but I remember going there with my grandma. Lake Winnipesauke. That’s where we used to go in the summer. My grandma took me to one of those New Hampshire resorts. We would go row boating and eat in the main dining room and go on scavenger hunts. Those were idyllic, absolutely beautiful days of New Hampshire in my growing up years. I’m sure I’ve performed in NH but I can’t say where or when. I learned from Wikipedia that you are a libertarian. Have you ever heard of the Free State Project? It’s a plan for a bunch of liberty-minded people to move to New Hampshire to make it more libertarian. We’re already a pretty libertarian state. It’s becoming easier now, because people seem so fed up with the status quo. I really think the world is in for period of renaissance. I really do, because if it’s not, it will be the dark ages. So we still have that choice but people have to wake up. I mean, God, half the population is in a trance. I think the distractions are pretty big. Everybody is so entertained. It’s hard to focus on anything that might be taking over the planet. Is there anybody out there you like to listen to? I have really strange eclectic tastes. I love lyrics but if I hear them I find myself analyzing them whether I want to or not. So I love instrumental music. I love Vaughn Williams. That’s what I listen to to relax. I put on my Vaughn Williams and space out. I like Joan Armatrading. I was a big advocate when she was writing. I’m not even sure if she’s still recording anymore. As far as right now, I’m drawn to authentic and, well, maybe I’m not exposed to the right authentic but so many people just make interesting noises with their voice and it irritates me. I can always tell if it comes from a real place or not. So there’s not too much that’s going on as far as I’ve heard that feels real. But I’m open. It’s not that I don’t believe they are out there. I’m sure they are, but celebrity has become so important in the selling of things and the best artists usually aren’t the ones who want to wear a meat suit. And there’s so much mediocrity on the Internet, there’s just a flood of it on the web and on YouTube. It’s unbelievable. I’ll sing a song and people will say, “Oh did you see this thing on YouTube of the people of Walmart?” And I’ll just say, “What does that have to do with anything?” So much of it is mean spirited and doesn’t come from anywhere creative. It comes from somewhere exhibitionist. I’ve always distrusted those who are total exhibitionist. It’s not music it’s some other thing. “Brand New Key” is the song you’ll always be known for. Is there something you’ve written recently that you’d rather was the one you’ll always be famous for? I think I love “Angel Watching” or “Hushabye” or “ITried to Die Young” is, I suppose, lyrically a proud moment. But I’m not taking anything away from “Brand New Key,” because if I could write another one, I would. It touches some many people in a number of ways, because it wasn’t trying to preach anything. I never really wanted to be a preacher in my songs. Just let people in on a little certain aspect of me that gives people an insight to somebody else. That’s what I love, and “Brand New Key” is one of those songs that is uniquely mine. I wrote it after I broke a fast. It’s been delightful talking with you. It somehow makes me feel young. Aww, thank you. I never even think about age. You’re supposed to get older because the alternative isn’t that great. It’s funny that people have such weird considerations about it but if you just keep doing what you do with art, it’s just supposed to get better. And I feel like I have and I’m not worried about age.